Hey friends! 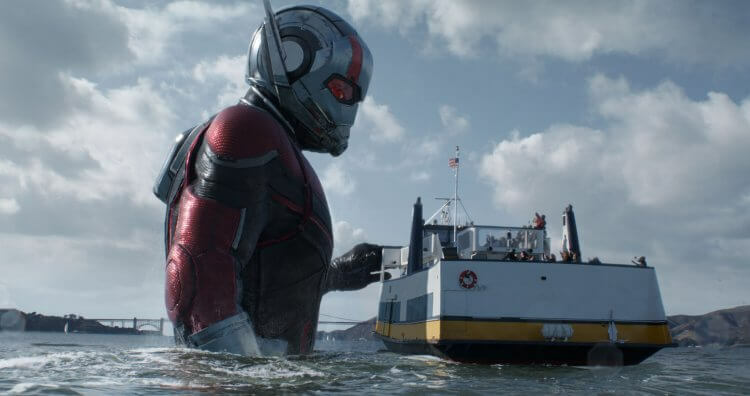 As has become a sort of tradition, I was unable to attend a screening of the latest Ant Man movie, Ant Man and the Wasp. My husband has you covered though (thanks to the studio for a screening ticket! ), with his review – and I can’t wait to see it as soon as possible! I have a soft spot for the Marvel Cinematic Universe version of Ant-Man. The reason for this is at least in part due to the inherent likability of Paul Rudd who plays the ever-shrinking-and-unshrinking title character; the rest of the characters that make up this corner of the MCU are also more down-to-earth, and their conflicts and goals more personal. This is epitomized in the main character, Scott Lang. Lang doesn’t have super-powers and isn’t a genius – he just happens to have a suit that allows him to shrink or grow at will. 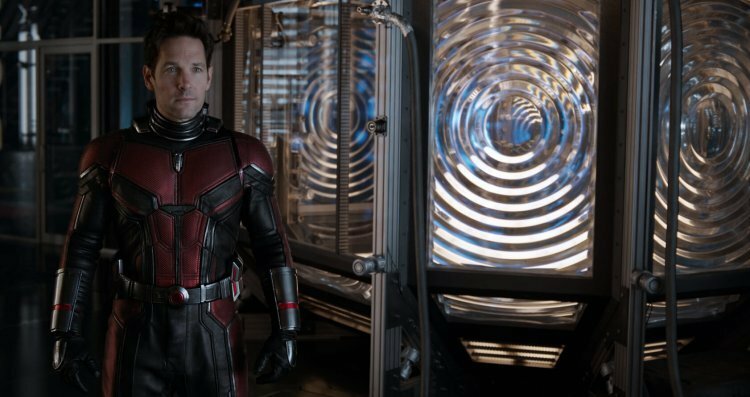 The follow-up to the first Ant-Man film also gets to follow the overwhelming Avengers: Infinity War. 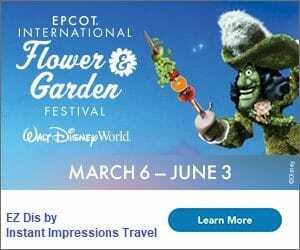 One review called it a nice way to cleanse the palate, after arguably the biggest main course of an MCU blockbuster yet; that feels about right. 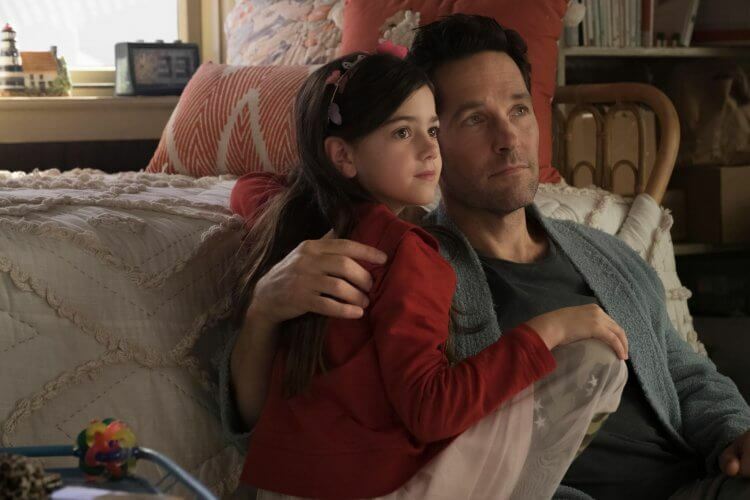 I think Ant-Man and the Wasp succeeds the most, though, not just as a change of pace, but by making the viewer care about the characters’ more personal, intimate conflicts – even though the stakes may not be of universal scale. Lang (Rudd) and his ex-con buddies are trying to get their security business off the ground, while Lang is just days away from finishing up two years under house-arrest after his involvement in the events of Captain America: Civil War. Meanwhile, Hank Pym (Michael Douglas) has allowed his daughter Hope van Dyne (Evangeline Lilly) to fully assume the mantle of The Wasp – and she is awesome! They reluctantly team up with Lang to bring back Hope’s mother, Janet van Dyne (Michelle Pfieffer), from The Quantum Realm (where she’s been stranded for over 30 years). Standing in their way are a slimy crime boss (Walton Goggins), a distraught victim of quantum experimentation with nothing to lose (Hannah John-Kamen), and an old colleague of Dr. Pym’s (Laurence Fishburne). All this takes place while the group’s members are fugitives from the law. This leads to all kinds of trouble for our heroes, who end up needing some unlikely help to win the day. Michael Peña reprises his role as Luis, and we get another great “this is what happened” scene from him that had me cracking up in the theater. Tip “T.I.“ Harris and David Dastmalchian are back in their roles to bring in some levity as well. The incomparable Judy Greer is back as Lang’s ex-wife, as is Bobby Cannavale as her husband. To me though, Lang’s daughter Cassie (Abby Ryder Fortson) steals the show. In Ant-Man, she was the perfectly cute and weird conscience of Lang. Now a little older, she’s even more the voice of sense and reason as she focuses this complicated adult story into its basic emotional point – while retaining her childish charm. Ultimately, I found myself rooting for (almost) everyone in the film – and that’s where it really wins. There were a couple of performances that fell flat or characters who just felt unnecessary. 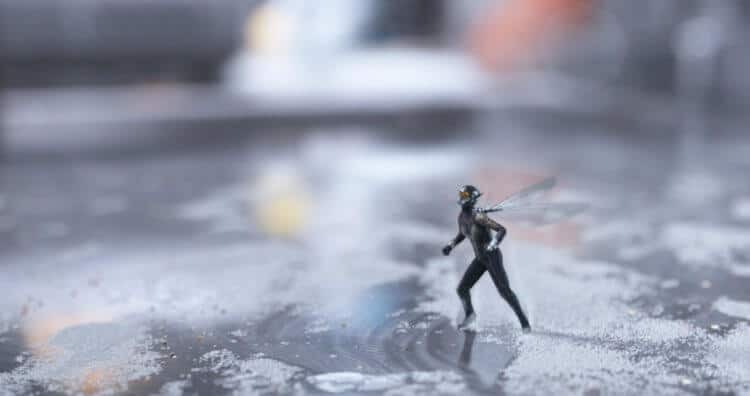 The action pieces are stunning, with some seriously amazing stunt-work (especially for The Wasp). It also didn’t feel overly long for a 2-hour film. As always, stay for the post-credit scenes (and try not to sit there slack-jawed after the first one). I hope you enjoy rooting for this scrappy, underdog of a movie as much as I did.